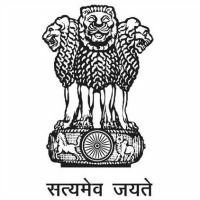 Unakoti District Court Jobs Recruitment Notification 2019.Unakoti District Court of Tripura inviting applications for the positions of lower division clerk (Group-C).Interested and Eligible candidates can apply for the positions. 88 lower division clerk (Group-C) positions to be filled in Unakoti District Court. The vacancies count released by the court may increase or decrease. According to the notification graduation degree holders from a recognized university can apply and must hold 6 months computer education course certification. Candidates typing speed should be minimum 30 words per minute on computer. Minimum age to apply is 18 years, maximum age to apply is 40 years. Age relaxation for SC/ST is 05 years. Finally candidates will be recruited on the basis of their individual merit. Applicants interested at Unakoti District Court Notification should submit their complete application performs via OFFLINE by 28th February 2019.
https://districts.ecourts.gov.in/unakoti is the link to download application form and send the duly filled application at below given address. Office of the District & Sessions Judge, Unakoti District, Kailashahar.